Aug. 15, 2012: Julia Child would have turned 100 today. To celebrate this occasion, the Bread Baking Babes and Buddies decided to make her Pain Français (French Bread) lovingly described in her memoir My Life in France, with the full recipe published in Mastering the Art of French Cooking, Volume Two. You may have noticed that I, um, haven’t posted in a while. I’m still baking nearly every week but just not blogging about it — perhaps this post will inspire more regular updates? It’s as simple as that. Julia laboured over her recipes, testing them rigorously as one would perform scientific experiments at the bench, and wrote them in such a way that they were accessible to the home cook. She taught us how to not only bake and cook, but how to recognize when something went wrong and what to do as a result. You could trust her, and knew that if she could do it, then we could too! She gave us the courage to try, and sometimes that little push is all we really need. 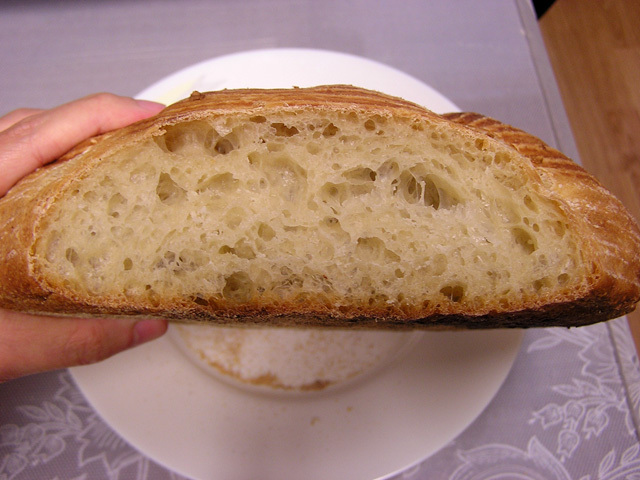 – I judged fermentation times based on the dough, and since it was very hot this weekend when I baked, the times were as follows: roughly 2 hours total for bulk (with stretch and folds at the 1 hour mark), and 45min for the final rise. Bon anniversaire, Julia; merci beaucoup et bon appetit! I’m sending this loaf to Yeast Spotting. Many thanks also to Susan at Wild Yeast for organizing this Bread Baking Babes and Buddies event. 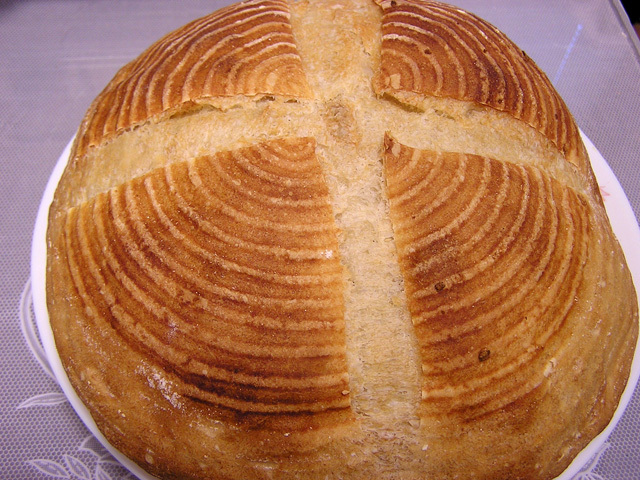 This entry was posted on August 15, 2012 at 10:39 pm and is filed under French, Yeast bread. You can follow any responses to this entry through the RSS 2.0 feed. You can leave a response, or trackback from your own site. How beautiful! Thank you for helping us celebrate Julia. Please send me your info if you’d like to be added to the Buddy roundup (note this is different from YeastSpotting).